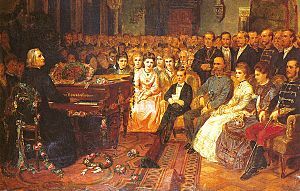 Liszt at piano, 1886. Engraving based on an old photograph. Franz Liszt (born Raiding, nr. Sopron, October 22, 1811; died Bayreuth, July 31, 1886) was a Hungarian composer and pianist. 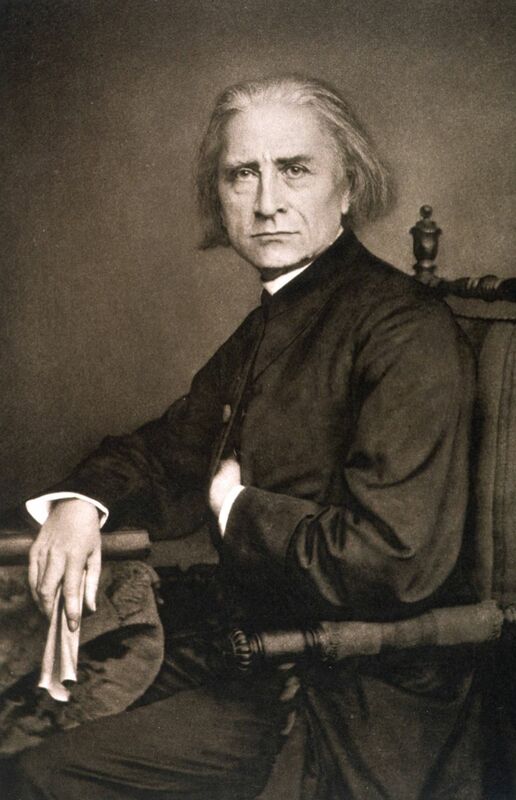 Liszt (pronounced like “list”) was one of the most important musicians of the 19th century. He was the greatest pianist of his time and went on lots of tours through Europe where everyone filled the concert halls to hear him. He wrote a lot of music for piano. Many of his piano pieces were harder to play than anything that had been written before. In this way he developed the technique of piano playing, setting new standards for the future. In his compositions he often used new ideas which sounded very modern in his time. He was very helpful to other composers who lived at that time, helping them to become better known by conducting their works and playing some of their orchestral pieces on the piano. Liszt’s father was an official who worked for Prince Nikolaus Esterházy, the same noble family who employed the composer Joseph Haydn. When he was seven his father started to teach him the piano. He was a child prodigy, and within a year or two he was already playing in concerts. He was so promising that some rich Hungarians said they would pay for his music education. In 1821 his family moved to Vienna. He had piano lessons from Czerny and composition lessons from Salieri. He soon became famous although he was still a young boy, and he met famous musicians like Beethoven and Schubert. Beethoven is supposed to have kissed him on the forehead. In 1823 his family moved again, this time to Paris. He wanted to go to the Conservatoire to study music but Luigi Cherubini would not let him in because he was a foreigner (i.e. not French). So he studied music theory privately with Reicha and composition with Paer. Soon he was asked to play the piano everywhere in Paris. He travelled to London. On his second visit there in 1825 he played to King George IV at Windsor. Liszt continued to travel to other countries. After his father died he became a piano teacher in Paris. He fell in love with one of his pupils. It was the first of many love affairs he had with various women. He read a lot of books to try to educate himself properly. He met Berlioz and he liked the music of Berlioz very much. In 1831 he met the violinist Niccolò Paganini and he was amazed by his virtuoso playing. Liszt was to do for the piano what Paganini had done for the violin. Both men were drawn by cartoonists as devilish characters. Both men wrote music which was incredibly hard for their instruments. Soon Liszt met a Countess called Marie d’Agoult. 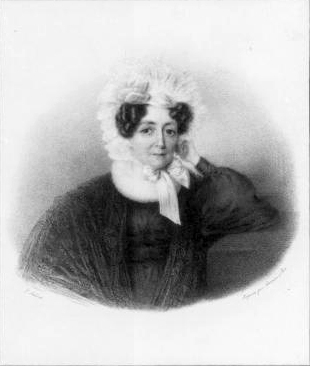 The Countess left her husband and went to live with Liszt in Geneva. They lived together for several years and had three children. When Liszt gave away a lot of his money to help pay for a monument to Beethoven in Bonn he had to earn money by going on tours again, so the countess left him. He still saw her and the children every summer for a few years but finally they separated completely. Liszt spent eight years in Rome. He wrote a lot of religious music and took orders in the Catholic church. His daughter Cosima, who had married a famous conductor Hans von Bülow, left her husband and lived with Wagner. They had two children together. Liszt and Wagner quarrelled for many years about this. Liszt spent most of his last years travelling to and fro between three cities: Rome, Weimar and Budapest. He called this his “vie trifurquée” (three-forked life). He died in Bayreuth July 31, 1886. Liszt had a very strong personality which affected everyone he met. When he played the piano at concerts he was a great showman. A lot of people drew caricatures of him playing the piano with his wild mop of hair. He could be very polite and knew how to get on with the aristocracy. He could be very generous, giving both money and time to other musicians and giving praise where it was deserved. He was a powerful, unique character. Needless to say he was one of the most important romantic composers of his day. He is known for his dazzling virtuostic piano displays best. 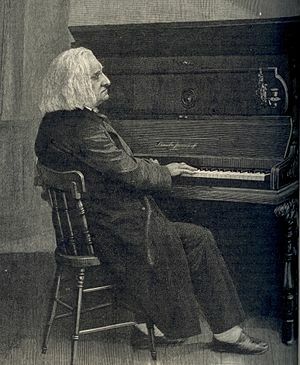 Most of Liszt’s compositions were for piano. He wrote one piano sonata. It is in B minor. Its form is very different from the sonatas of composers like Beethoven. It is a very Romantic work, but it does not tell a story like a lot of Romantic pieces do. Mostly his piano works are shorter pieces which are quite free in form. He often took a theme and transforms it (changes it gradually). He wrote studies which are much more than just pieces to improve one’s piano technique. One collection is called Transcendental Studies. In Switzerland he wrote Années de pèlerinage (Years of Wandering), a collection of pieces to which he gave titles later. Liszt explored all the possible sounds that the piano could make (it was still a fairly new instrument). Sometimes he made it sound like an orchestra. Some of his last piano works are much simpler to play, although the chords would have sounded very modern for his time. They are like the Impressionistic music of Debussy. Not all Liszt’s piano pieces were original compositions: he also made arrangements or transcriptions. It seems a strange idea to us now to take someone else’s symphony and arrange it for piano. This is what Liszt often did. He took symphonies by Beethoven or songs by Schubert and changed them so that they could be played on the piano. Many people did not have the opportunity to hear concerts very often, and they certainly did not have radios or CDs, so Liszt was making these works more famous, helping them to reach a wider audience. He often made difficult transcriptions which meant that he changed the pieces and added a lot of extra ornamental notes, making a new piece out of an old one. Liszt’s orchestral music is also very important. 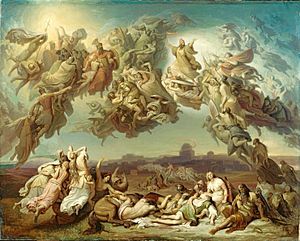 He wrote symphonic poems: pieces which tell a story or describe something. The best known one is called Les préludes. He also wrote two piano concertos. He wrote a lot of church music. Church music was often quite sentimental in those days, but Liszt tried to make his works help people to feel religious devotion. 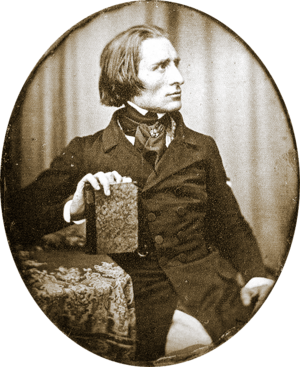 In many ways Liszt was typical of the Romantic artist. He was always looking for a spiritual meaning to life. He carried a walking stick with the heads of St Francis of Assisi and Gretchen and Mephistopheles, characters from Goethe’s Faust. He was a 19th-century musician but through his thinking and his music he looked forward to the 20th century. Franz Liszt Facts for Kids. Kiddle Encyclopedia.